The Testo IRDA infra-red linked thermal printer allows instant, on-site printing of test results from the Testo range of gas analysers. Data is transferred from the gas analyser via the infra-red link and is printed on thermal paper. No connecting wires, information downloaded via an infra-red link. 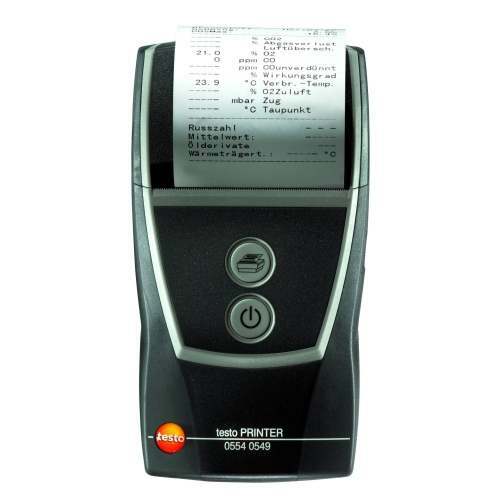 No ink, no ink ribbons, just prints straight onto thermally sensitive paper.